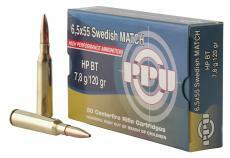 PPU's Match line ammunition is designed for precise shooting at both short and long ranges. Its exceptional accuracy is the result of special production and control processes which demand holding very narrow tolerances. It uses reliable primers for extreme consistency and carefully chosen powders for loading, ensuring uniform ballistics. 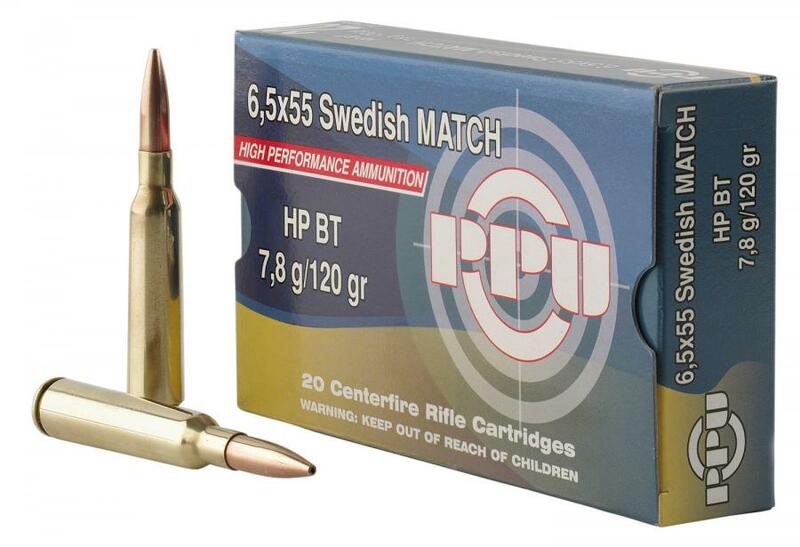 This 6.5x55 Swedish load features a 120 GR hollow point boat tail bullet and comes packaged 20 rounds per box, 10 boxes per case.